Published in conjunction with the Legion of Valor of the United States of America, this book tells stories about our military heroes from the Civil War onward. They relate personal accounts and reflections on combat and war from members of the Legion of Valor of the United States of America, Inc. and their friends. 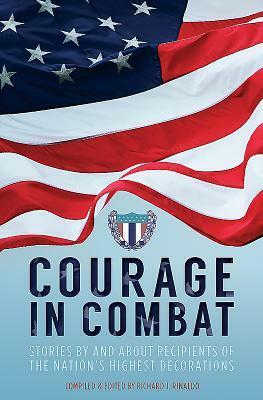 Courage in Combat explores the concept of courage through aspects of the lives, thoughts, and actions of this elite group. They are recipients of the Medal of Honor, the Distinguished Service Cross, the Navy Cross, and the Air Force Cross. Their awards are our nation's highest military decorations, given only to one in 20,000 combatants. Among them are sergeants and generals as well as corpsmen, civilians, engineers, -grunts, - and paratroopers. There are men and women, a mess attendant, aviators, spies and POWs, a cavalry scout, candidates for sainthood, and a President of the United States. This book also includes a short history of this unique group, America's oldest military service organization, and an extensive this of its members, past and present.